Educating young people about the wise use and protection of natural resources is a Menominee Conservation District priority. The district staff partners with area schools to educate young people about our natural resources. 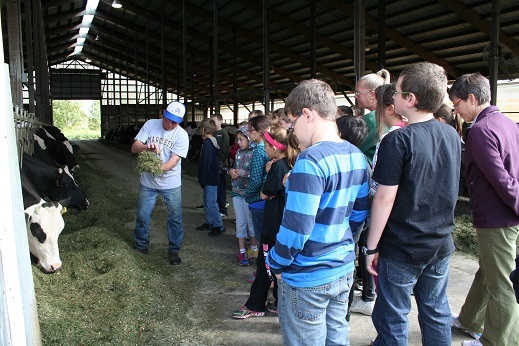 2013 saw two ag tours, we had our first 5th Grade Ag tour in May for the North end of the county. Students from North Central, Stephenson, and Carney went to the DNR post, Brock Dairy Farm, and the Stephenson School Forest. September was for 5th grade students from the South end. Menominee Catholic Central and Blesch Intermediate schools spent time with the DNR at Water Tower Park, toured Shepeck Dairy Farm and a recently harvested forest on Mike Erdman's property.